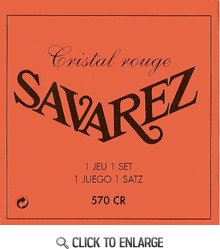 Savarez 570CR Cristal Soliste Classical Guitar Strings Normal Tension Launched in the 60’s, CRISTAL trebles strings have been perfected thanks to the improvement of the monofilament nylon production technology. 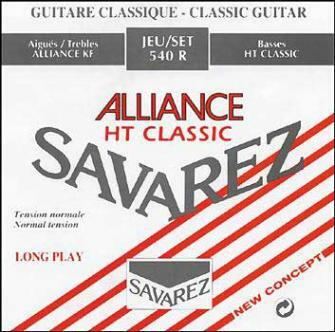 Then It has become possible to manufacture monofilament fibre which geometrical characteristics provide top-of-the-range strings. 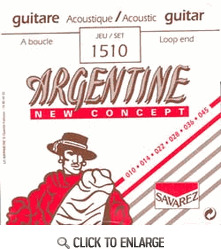 The string is round, its gauge is determined during the manufacturing process and is even throughout its length. 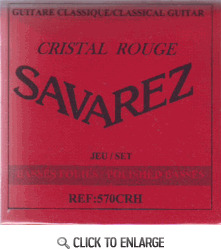 The SOLISTE basses have been launched in the same years as the CRISTAL strings to meet a growing demand for stiffer strings and for strings having a more brilliant tone. 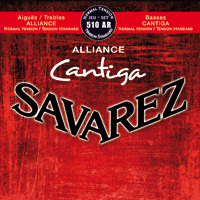 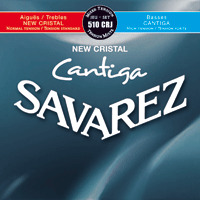 Savarez 570CRH Cristal Soliste Polished Classical Guitar Strings Normal Tension Launched in the 60’s, Cristal trebles strings have been perfected thanks to the improvement of the monofilament nylon production technology. 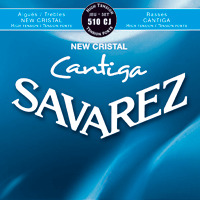 Then it has become possible to manufacture monofilament fibre which geometrical characteristics provide top-of-the-range strings. 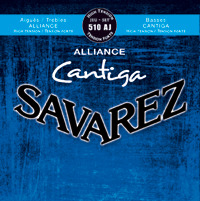 The string is round, its gauge is determined during the manufacturing process and is even throughout its length. 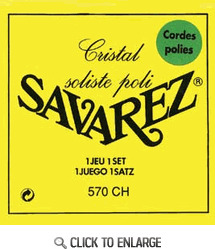 The SOLISTE basses have been launched in the same years as the CRISTAL strings to meet a growing demand for stiffer strings and for strings having a more brilliant tone.